Rail advertising puts your message in front pf pedestrians and vehicles on routes inside and along the busiest corridors in metropolitan markets. 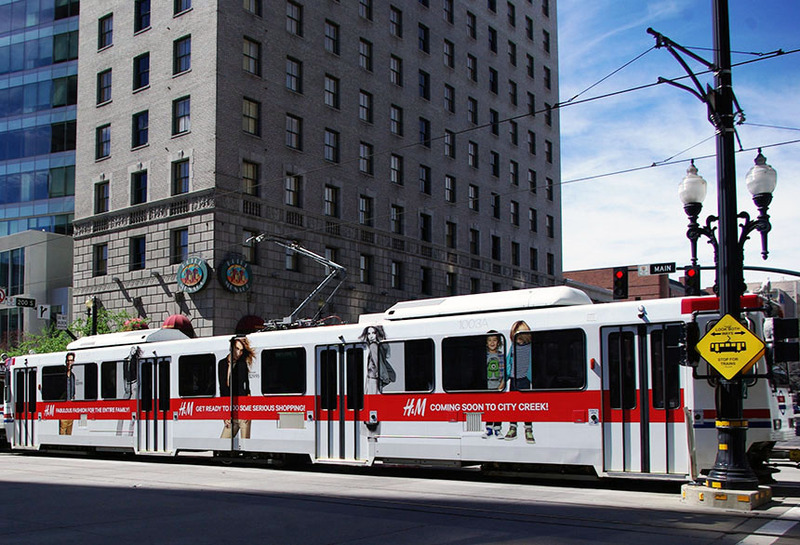 H&M made use of this high reach and high frequency mode of advertising with this full wrap display in Salt Lake City, UT. H&M announced their opening of a new store with this simple and efficient creative.